With a quarterly revenue of some $74.5 billion, I don’t think any poor card can be played. This €13 billion (at least) judgement follows a three year investigation by the E.U, which highlighted State acquiescence in helping Apple reduce its tax burden, for over two decades. Equal rates of tax, are not only to be paid by those lacking the well financed means to avoid doing so, in the first place! The multinationals do not have to be coerced to set up shop here and it is hugely insulting to our erudite workforce, to even regurgitate this nonsense. It will speak volumes, if Apple cheekily appeals this ruling! Update Friday 2/9/16: Shame on all of you! (Update Thursday 1/9/216: This debacle show’ me the crazy figures these companies deal in. 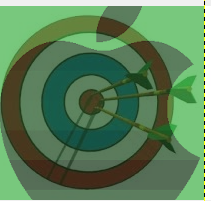 No doubt after Apple Ireland, it will be Ebay, Microsoft, Amazon, Intel…..